For many travellers, time spent at an airport is the most gruelling part of their journey. 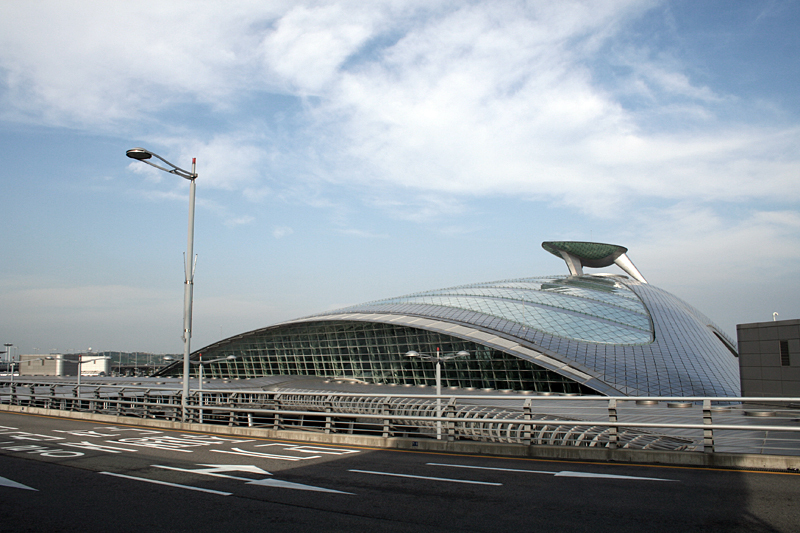 However, some airports are so unique that they become travel destinations themselves. Incredible design, architecture and facilities make up some of the most impressive and unique airports around the world - while others stand out for very different reasons. There are plenty of airports to avoid for their bizarre locations, questionable runways and unpredictable weather - a couple of which made our selection. But let's not get too caught up in the scarier side of flying and remember that some of the world's standout airports are unique for the right reasons. With this in mind it only seems right to start with an airport that has won over 390 awards and is regularly crowned the best airport in the world. 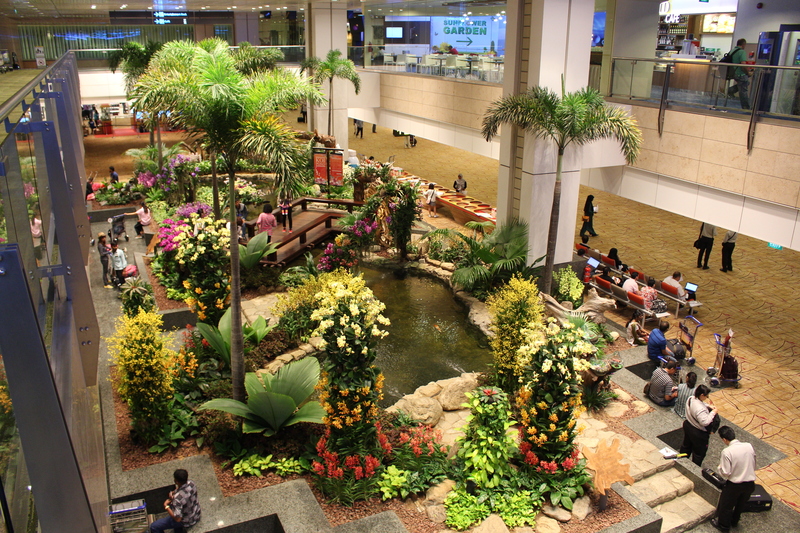 Singapore's Changi airport is like a playground for adults and kids alike. You'll find the nation's tallest indoor slide, butterfly, koi fish, orchid and sunflower gardens - as well as the Social Tree where you can upload your favourite travel memories to the airport's interactive tree. As recently featured in this article, Changi offers a true VIP airport lounge experience. Private terminals, personal staff and a collection of VIP lounges from airlines across the globe make this the ultimate VIP airport. Not one for first-time or nervy flyers, Princess Juliana International Airport comes with one of the lowest altitude landings in the world. The runway stretches almost to the ocean with only a road and a short stretch of sand separating it from the tide. All you can see on approach is water and you wonder if the pilot has got it right until you feel the reassuring bounce of wheels against tarmac. But don't feel too sorry for yourself because nearby commuters and beach-goers get an equally intimidating view as you come in to land. It took £660 million to build this feat of modern architecture, consisting of a 2.5 mile-long artificial island and a 3.75 kilometre bridge connecting it to the mainland of Japan. The island is designed with a large sea wall to protect the airport from waves and other natural disasters - measures which saw the island survive the 1995 Kobe earthquake. And then there is the small matter of the airport itself, with playgrounds for the kids, personal lounges, refresh cabins, authentic Japanese cuisine and even some pet hotels for good measure. 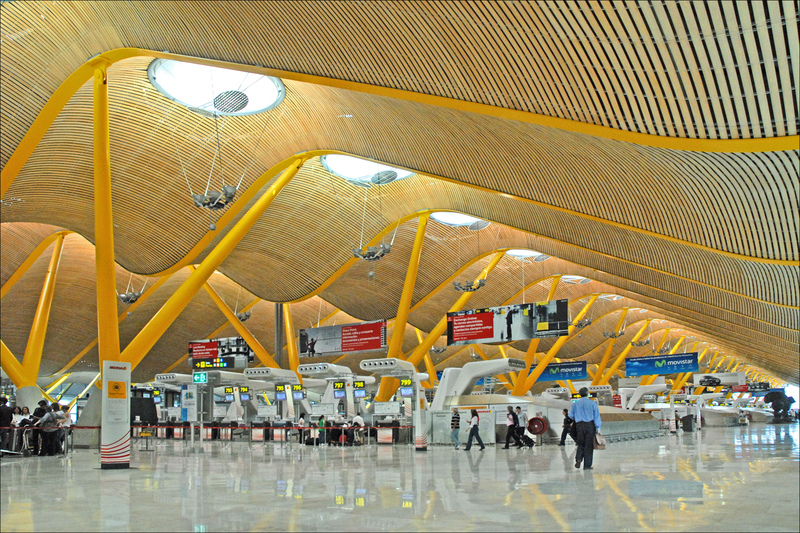 Spain is the only country to feature two airports in the world's 10 most amazing airport designs by Design Curial. Barajas Airport in Madrid is a visual feast of modular design which guides visitors along their journey through the airport. This ultra-modern construct is the boldest contemporary design to come with its own runway and a genuine pleasure to visit. While Bilbao's Sondika Airport in the north of Spain is dubbed La Paloma (the Dove) for its elegant build. As you approach the airport you can see its white aluminium, steel and concrete wings spread out - just like a bird about to take flight. Korea homes one of the largest and busiest airports in the world and Incheon International Airport is a genuinely unique construct. This metallic arc contains some of the best amenities you will find at an airport, including: spas, casinos, a golf course, indoor gardens and rainforest trails. You'll also find Korean culture centres for a genuinely unique experience and one of the best duty-free shopping malls around. There are so many incredible airports the last spot in this list could go to, but as we're picking the most unique of the bunch, it wouldn't be right to ignore Gibraltar. We're talking about an airport that only serves flights to the UK - but that's not the quirkiest thing about Gibraltar International. This is the only runway in the world to intersect a public road which means commuters have to stop and give way to outbound flights as they take off. Sadly, a list twice as long as this one couldn't fit all of the most interesting airports in the world – every year, it seems new and amazing hubs are opening up. From Oslo's spectacular Gardermoen Airport to the treacherous Courchevel Airport atop the French Alps, the list of must-see (and must-avoid) airports is far too long for one article – so you’ll just have to let us know what we’re missing! nice changi airport.. make your day happy..